The US should develop a “more flexible” approach to the Ukrainian crisis instead of just strictly tying anti-Russian sanctions to the implementation of the Minsk agreements, US Secretary of State Rex Tillerson said. 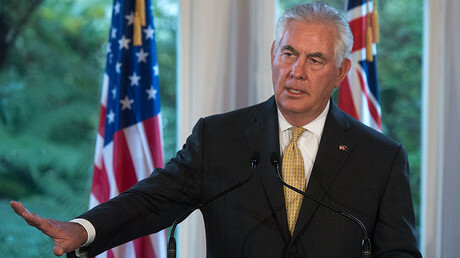 Tillerson on Wednesday suggested that Moscow and Kiev could eventually find some other way to resolve the conflict in eastern Ukraine through means that would lie outside of the framework of the Minsk Accords. "My caution is I wouldn't want to have ourselves handcuffed to Minsk if it turns out the parties decide to settle this through another, a different, agreement," Tillerson said as he spoke to the House Foreign Affairs Committee. "I think it is important that we be given sufficient flexibility to achieve the Minsk objectives. It is very possible that the government of Ukraine and the government of Russia could come to a satisfactory resolution through some structure other than Minsk," he added, as cited by Reuters. Tillerson’s statements have been interpreted as a potential break from the US administration's earlier stance that regarded the progress in the implementation of the Minsk Agreements as a key condition for lifting the sanctions imposed on Moscow in 2014. Earlier, Tillerson had said that the US would maintain anti-Russian sanctions until the Minsk Accords are fully implemented, including during his meeting with Russian Foreign Minister Sergey Lavrov on May 10. Tillerson also told US lawmakers that Washington needs more flexibility to "turn up the heat when we need to, but also to ensure that we have the ability to maintain a constructive dialogue” with Moscow. The Minsk Protocol was first signed in the capital of Belarus in September 2014. In February 2015, Ukraine, Russia, France and Germany, under the auspices of the OSCE, worked out a new agreement to uphold the failing ceasefire between the Kiev forces and the Donbass rebels. The deal stopped the all-out fighting and forced the pullout of heavy weaponry from the line of contact by both sides, although separate incidents of shelling and shooting continued. Moscow does not consider itself a party to the conflict and has repeatedly criticized Kiev for not carrying out its obligations under the Minsk agreements. Reacting to Tillerson’s statement, Russian Deputy Foreign Minister Grigory Karasin called such a view on the Ukrainian conflict an oversimplification. "I want to emphasize that this an internal Ukrainian conflict and to simplify it to contacts between Kiev and Moscow would be a mistake," Karasin said. He stressed that "the only arrangement" is the existing working groups, including the tripartite contact group in Minsk, adding that "everything depends on the instructions that Kiev gives to its representatives." The self-proclaimed Donetsk and Lugansk people’s republics have to be part of the solution, or the conflict would be “practically impossible to resolve,” Karasin said. 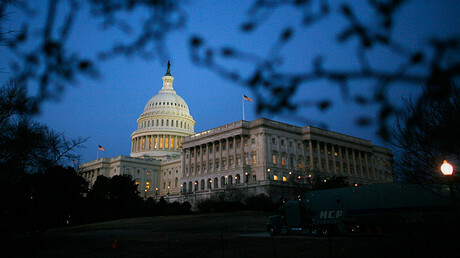 The US Senate on Wednesday approved a bill allowing “broad new sanctions on key sectors of Russia’s economy, including mining, metals, shipping and railways,” with Ukraine and Crimea cited as the reason, as well as the “aggression in Syria.” The bill also prohibits lifting any executive sanctions imposed on Russia by the Obama administration without congressional review. 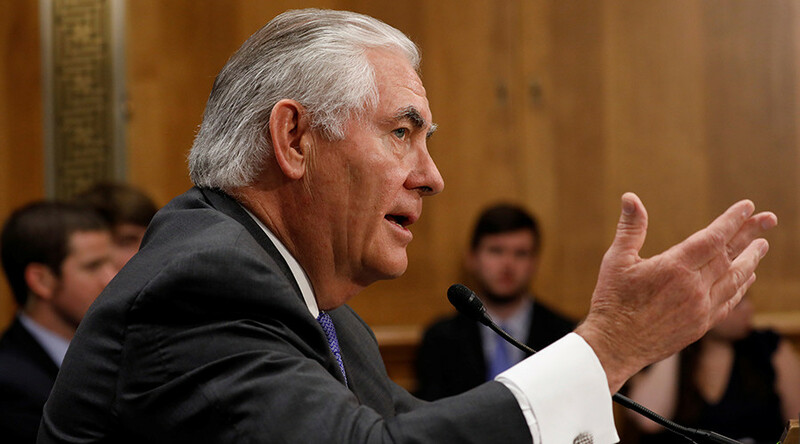 The measure came just a day after Tillerson told the Senate Appropriations Committee on Foreign Operations that virtually all US partners and allies were calling on Washington to improve its relations with Russia. 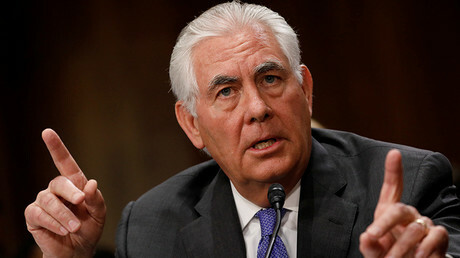 Earlier, Tillerson warned that the US Senate’s bipartisan deal on new set of restrictive measures against Moscow might further worsen relations with Russia and hinder existing efforts on joint US-Russia progress to fight terrorism in Syria.